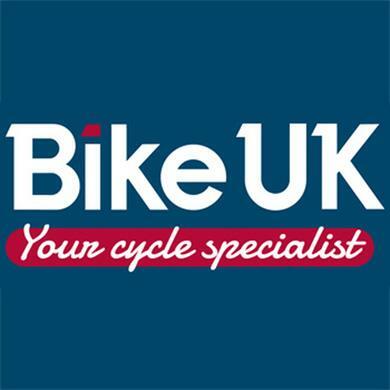 Bike UK: CycleFit Service. UOBCC Offer! A reminder that kit can now be picked up from Bike UK. Just head in and tell them your name and what you've ordered. Tonight - Spinning (Sign up on the Facebook Group). Road Circuit racing at Ludgershall and Odd Down. 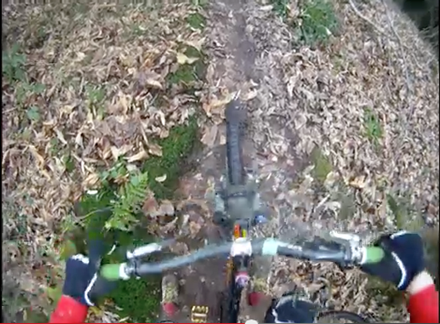 10am - Road and XC social rides from the bridge. 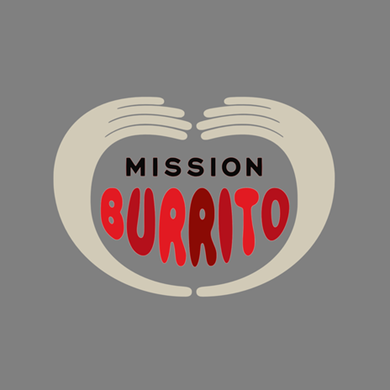 Tour de Burrito is back for 2015. STEP 1: Register on the union website. Registration costs £5 and means ALL the money raised goes straight to charity. STEP 2: Set up your personal fundraising page. Go to the IGNIT10N Everyday Hero website, click on 'start fundraising' and set up your personal page. For more info about the ride see our website. Any queries, please direct them to the Facebook Event. 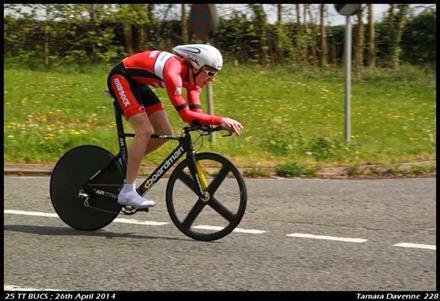 Now's the time to get your entries in for our annual 10 mile TT event. Entries open online now. Bike UK have just launched their CycleFit service. Club members can get a half price fit (from £30 for the express fit and £60 full fit) until the end of March. 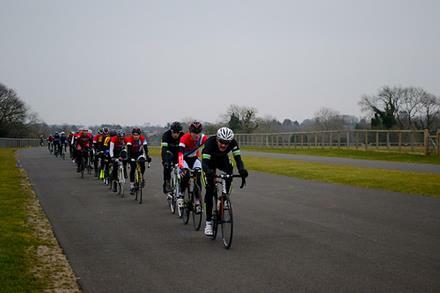 Bath Uni CC hosted an afternoon of racing at Odd Down Circuit. After 15 laps of racing, Kate Mactear secured 4th place in the women's event, and in the men's novice race, Chris Parker and Freddy Carlton finished 8th and 10th respectively. Lots of cheering was had by all. The more experienced guys battled it out head to head with Ryan topping the table and Andrew coming in a close 2nd. Andrew and Ryan go head to head (video). 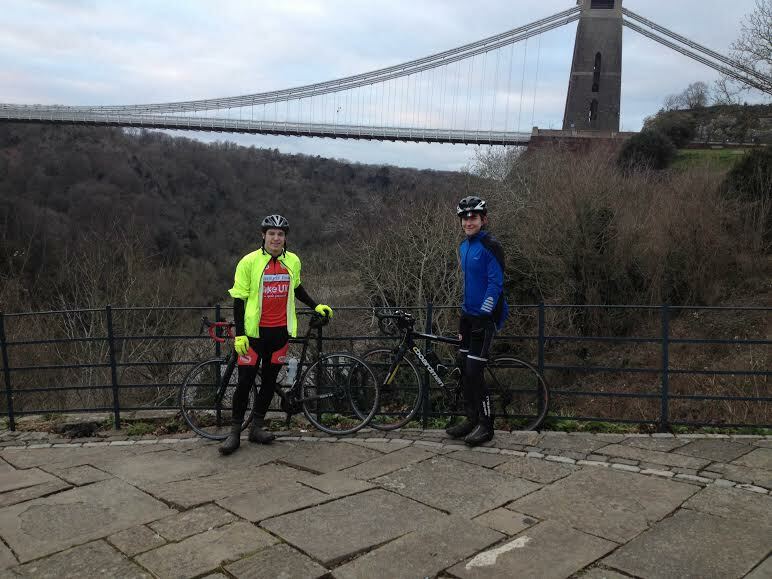 Thomas and Oliver cycled up to Monmouth in Wales for a 75 mile valentines day ride. Here they are finishing up at the Suspension Bridge.